Accrual Accounting and Taxation provides tax advice to both corporate and private clients. We possess the expertise and in-house systems to ensure that our clients are compliant with all current legislation.Our team of dedicated tax professionals can advise your business on statutory requirements and the most efficient ways of fulfilling these obligations, as well as preparing your statutory tax returns. We will also advise on the most tax-efficient ways to structure your affairs and ensure that all available possibilities are explored. In many sectors and areas of business, tax legislation has tended to be an area of regular change, and in such cases our specialist team regularly helps clients stay abreast of the latest opportunities, as well as any potential pitfalls. We also help our clients identify tax planning opportunities. We can recommend ways to reduce your liability to income and capital gains tax and help you establish appropriate structures to safeguard and maintain your wealth, if appropriate following through to the process of planning for your retirement. 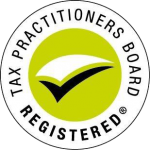 Quite simply, our aim is to reach the best possible tax results for our clients. We prepare annual tax returns for all types of people – wage earners, investors, investment property owners, sole traders, sub-contractors, non-residents, retirees and pensioners.We also provide taxation advice to our personal clients. Under self assessment, individuals, business and companies are responsible for correctly calculating, returning and paying their own tax liabilities. At the same time, tax legislation has never been more complex. We have extensive experience in attending to the compliance requirements for all different types of businesses and structures, and our aim is to minimise your time spent on this process. Our fully qualified team of tax advisers are able to advise companies, businesses, individuals, trusts and self-managed superannuation funds in all aspects of taxation, GST and FBT issues. GST (Goods & Services Tax) is one of the most complex taxes imposed on business and one that many businesses inadvertently overpay or underpay. With a constant stream of detailed changes to the regulations, businesses can find it difficult to ensure they comply. We provide a cost effective GST service, and work with a wide variety of businesses providing varying levels of support from general advice to GST return completion. We have helped many of our clients accurately minimise their GST liabilities.